Did I tell you about my new job? So most of you who read this know already, but if you don’t, I got a new job! And its in London! Working with a fantastic people at a fantastic company who I have been a fan of for years! Exclamation points are fun! 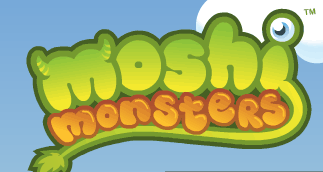 I am the new Head of Community at Mind Candy, makers of the wonderfully addictive Moshi Monsters. We are experiencing terrific growth in our traffic and subsequent community, thanks to aforementioned addictive quality of the game, as well as due to the super powers of our Marketing team. My job is to make sure the kiddos (and grown up fans) stay safe, have fun, and keep on playing. Cool, eh? Congrats Joi! Enjoy those London pints! I saw a woman use one of these in the grocery store the other day. I codlun’t stop scratching my head. They don’t seem practical for carrying around but if the sound quality is better than I’d use one indoors.Taylor would like you to read.. I too have had my pillow since 2004 from brnokstooe after a car accident. We have repaired a few holes and it looks filthy. I have been looking for. New one for years the cheap ones at other store are not the same. I love the feel of my movie . Can’t wait to get my new one! Congratulations Joi. Once you’re properly settled in London you’ll have to let me buy you lunch/drinks to catch up.